James "Bubba" Stewart by Michael J. Petersen. Product Review The James Stewart Motocross Art Poster has not been rated. 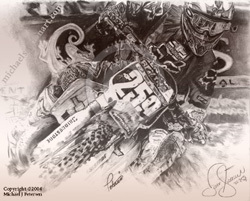 Be the first to rate the James Stewart Motocross Art Poster. Earn rewards by rating products.